Available with Kenton BDC turrets or RAPID-Z ballistic reticle solution. Highlights comprise MC multicoating, German design optics, and single piece, hard anodized tube construction. Ideal for diverse hunting situations. Reticle choices comprise illuminated reticle # 60 or non-illuminated reticle # 6. Available in 1.2-5x36, 2-8x42 and 3-12x50 models. Ideal for universal use and multiple hunting applications, and teaming up with R 93 or R 8 Blaser rifles. Highlights comprise Unique Reticle 60 / Illumination Control and Carl Zeiss T* multi-layer coating. Ideal for extreme specialists and long-range shooting. Highlights comprise 72 mm lens diameter with 24x magnification, lenses with fluoride glass and Rapid-Z ballistic reticle and bullet drop compensator (ASV). Brightest and clearest riflescopes from Zeiss Optics. Highlights comprise 95% light transmission rate, varying magnification range, choice of illuminated #54 or #60 reticle and adjustable illumination settings. 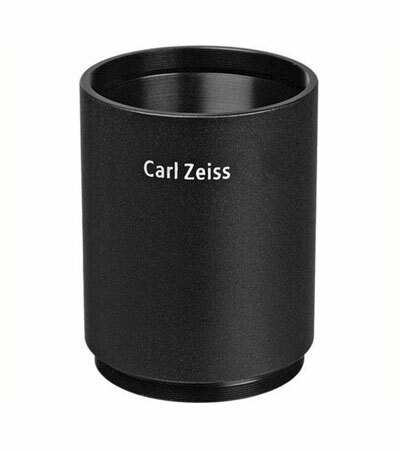 Premium integrated laser-rangefinder with Carl Zeiss T* multi-layer coating. Great for long-range shooting, distance measurement and resolving bullet drop compensator. Incorporates traditional ballistic reticles with different calibers. Available with 600, 800, 1000 or Varmint Rapid-Z Reticles, designed to work individually with a definitive class of cartridges. Ideal for demanding hunters. Equipped with LotuTec lens coating, T* lens coating, new ballistic lockable turrets with 1/4 MOA adjustments and redesigned RAPID-Z ballistic reticles. Compact, lightweight and rugged. Highlights comprise MC multicoating, MC anti-reflective coatings, 1/4-MOA adjustments, and reticle options like the standard Z-Plex or the new ballistic RZ6/ RZ8. The contemporary shooting optic. Highlights comprise modern multi-layer coatings, minimum target coverage and best visibility, precise repeat accuracy and robust construction. Blaser and Carl Zeiss comes together to offer Illumination Control, through the IC cocking lever. The illuminated reticle is activated when the rifle is cocked and remains so as long as the rifle is cocked. For precise calculations and expert long range or angled shots, use the Online Ballistic Calculator from Zeiss. It’ll help in determining properties of various cartridges, bullets and loadings, and adjusting the operator’s aim for prevailing atmospheric conditions.